Republicans repeatedly have called for a thorough investigation of the FBI's intelligence practices and the basis of the since-discredited Russian collusion narrative following the conclusion of Special Counsel Robert Mueller's probe. Now they appear to have assurances that a comprehensive review was underway. The FBI's July 2016 counterintelligence investigation was formally opened by anti-Trump former FBI agent Peter Strzok. Ex-FBI counsel Lisa Page, with whom Strzok was romantically involved, revealed during a closed-door congressional interview that the FBI “knew so little” about whether allegations against the Trump campaign were “true or not true” at the time they opened the probe, noting they had just “a paucity of evidence because we are just starting down the path” of vetting the allegations. 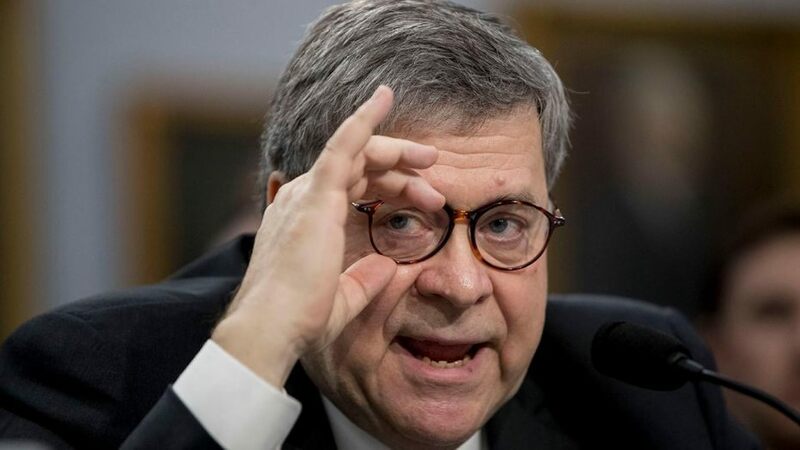 Barr told lawmakers at a contentious hearing earlier Tuesday that he was reviewing the bureau's “conduct” in particular during the summer of 2016. The attorney general's explosive testimony marked his first Capitol Hill appearance since he revealed the central findings of Mueller’s investigation, and he indicated the full report -- with redactions -- would be made public within the week. The FBI's ultimately successful October 2016 warrant application to surveil Page, which relied in part on information from British ex-spy Christopher Steele – whose anti-Trump views are now well-documented – flatly accused Page of conspiring with Russians. Page has never been charged with any wrongdoing, and he since has sued the Democratic National Committee (DNC) for defamation. The FBI assured the FISA court on numerous occasions -- in the October 2016 warrant application and in subsequent renewals -- that other sources, including a Yahoo News article, independently corroborated Steele's claims, without evidence to back it up. It later emerged that Steele was also the source of the Yahoo News article, written by reporter Michael Isikoff. The FBI also quoted directly from a disputed Washington Post opinion piece to argue that Trump's views on providing lethal arms to Ukraine, and working towards better relations with Russia, was a possible indicator that the campaign had been compromised. The Trump campaign, at the time, supported only providing only defensive arms to Ukrainians, and rejected a single Republican delegate's proposed platform amendment that called for providing lethal arms. Later, the Trump administration changed course and approved lethal arms sales to Ukraine. The FBI did not provide its own independent assessment of whether the Washington Post opinion piece contained accurate information, and did not mention that the Obama administration had the same policy towards arming Ukraine as the one Trump's team supported. The FBI also did not clearly state that Steele worked for a firm hired by Hillary Clinton's campaign. Instead, the FBI only indicated that Steele's dossier was prepared in conjunction with a presidential campaign. Fox News also has been told the Justice Department's Inspector General (IG) was looking separately into whether Comey mishandled classified information by including a variety of sensitive matters in his private memos.